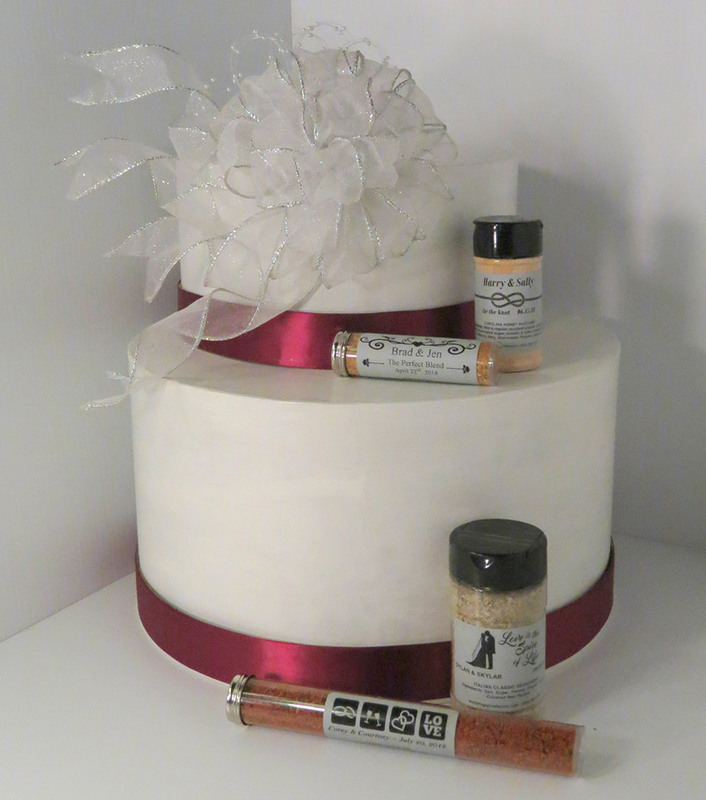 The owners of 360° Flavor & Spice created Wedding Spice Favors in 2008 in response to brides asking for wedding favors that were both useful and memorable. Add a unique, memorable touch to your event with our hand-blended custom spice favors. Perfect for any special occasion – weddings, baby showers, birthdays, anniversaries, corporate events, and more! Choose from over 100 of 360° Flavor & Spice’s herbs, spices and blends with customized labels in a variety of sizes.